The Magpul MBUS Pro Flip Up Back Up Sights have been created to make sure that you have a great flip up sight that will not let you down in the field.image This Rifle Sight from Magpul is a Melonite-finished all-steel back up sighting solution that delivers maximum functionality and strength with minimum bulk at a price that's even smaller than its size. The dual aperture, windage adjustable rear and no-tool, elevation adjustable front excel in all 1913 Picatinny rail mounting applications, including rail-height gas blocks. 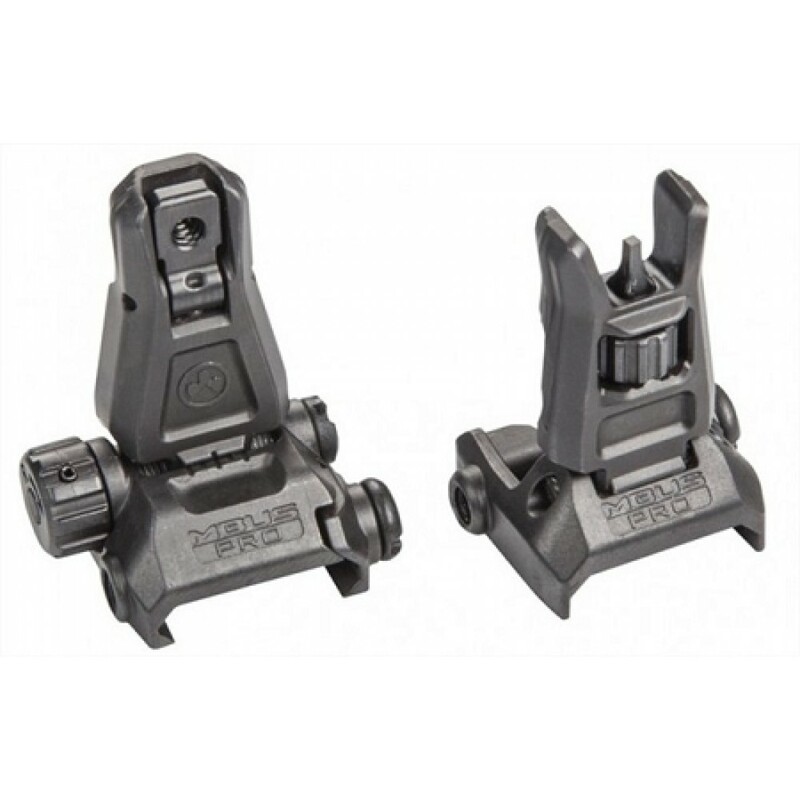 Positive detents keep the Magpul MBUS PRO Tactical Rifle Backup Sight at standard AR sight height when deployed, and so low when they are stowed that you'll never notice them until they're needed. 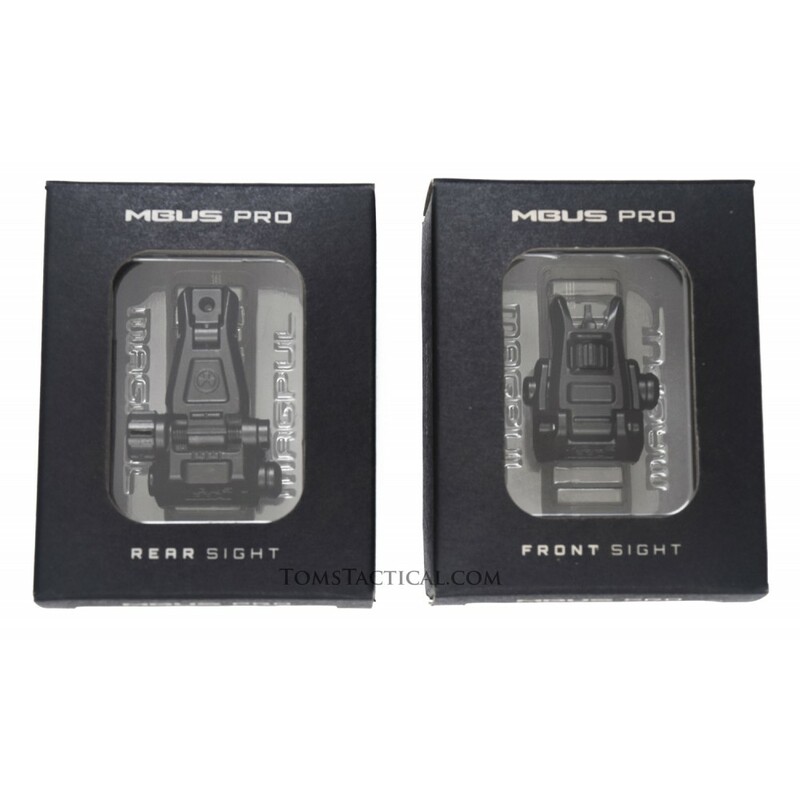 The narrow width of the Magpul MBUS Pro Sight is compatible with most IR aiming laser and light installations for the professional user. Exceeded expectations! Great build quality and excellent service from Tom's Tactical! These are great sights. The price for the pair is the best I could find from Toms Tactical. Yes they are twice as much as the Gen II sights. They are also twice as good IMO. Better made, better looking, better profile. You'll never wonder..."should I have bought the better sights." Great product with a great price tag. Great customer service by TT too. Thanks for all that you guys do! Strong, reliable and easy to use. SMALL footprint and simple design with high quality components. Magpul has great stuff and Tom's Tactical was a pleasure to do business with!